Create Your Own Chat Group! If you want to get your own chat website, chat group or chat area you can use Xat chat group feature. You can use this group at your website or forum, you can also invite your friends to join the chat group too. There are alot features than we listed above, you can invite your friends, use embed code, adjust your blog with Xat group powers and make it look better and much more. How to Get a Free Group on Xat? Firstly, go to Xat.com/create page to create a chat group for you. Fill all the blanks with pass, email, name and chat name and description. Then go to your Email inbox and confirm your group. After that, go to your group and you'll be main owner automatically. 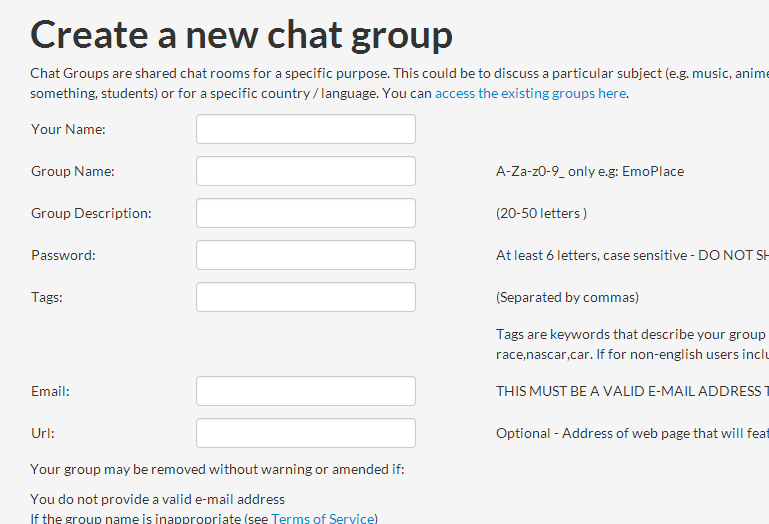 How to use chat group in your Blog/Website? Go to left bottom area of the group, you'll see embed, click on it and copy embed code. You can use it as HTML for people to join. 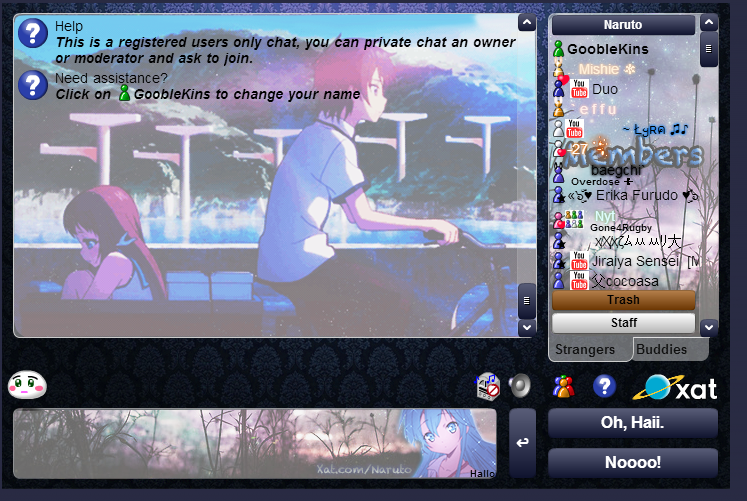 Your group name will be shown as "Xat.com/Group-name-here" and you can invite your friends to this link to join. Click on "Edit" which is located on the right top of the chat group, then enter your password and see group options. You can set and create pages here and add background, also if you click to "Edit" again, you'll see another options like Powers, Radio and buttons color and much more too.